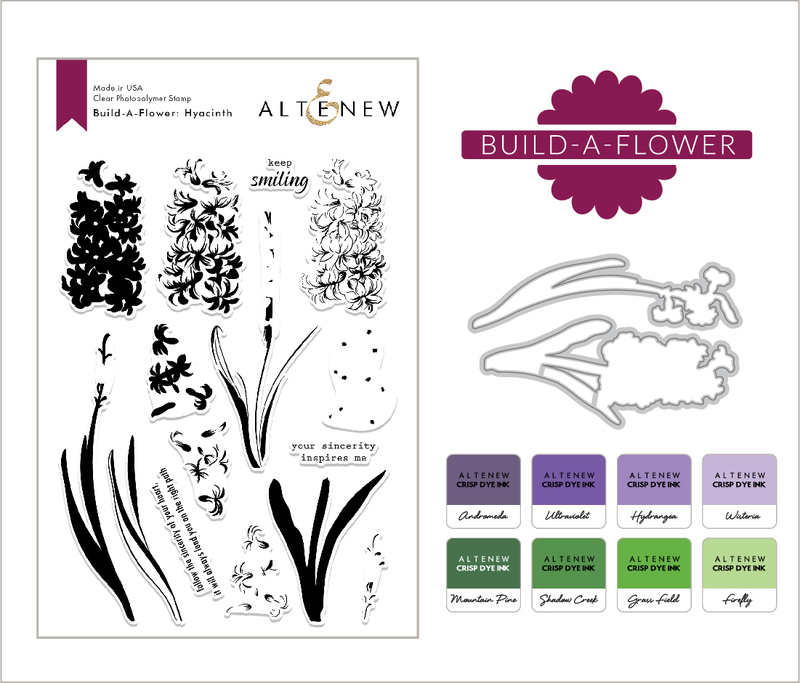 Hello everyone and welcome to Altenew special Build-A-Flower Release! This month, Altenew have the gorgeous Build-A-Flower: Hyacinth! 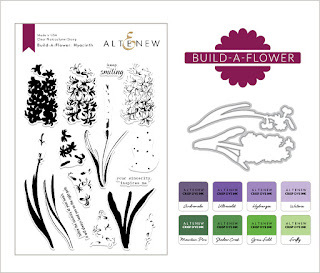 I will also randomly choose a winner from comments left on this post and the prize will be $20 gift certificate to Altenew online store. 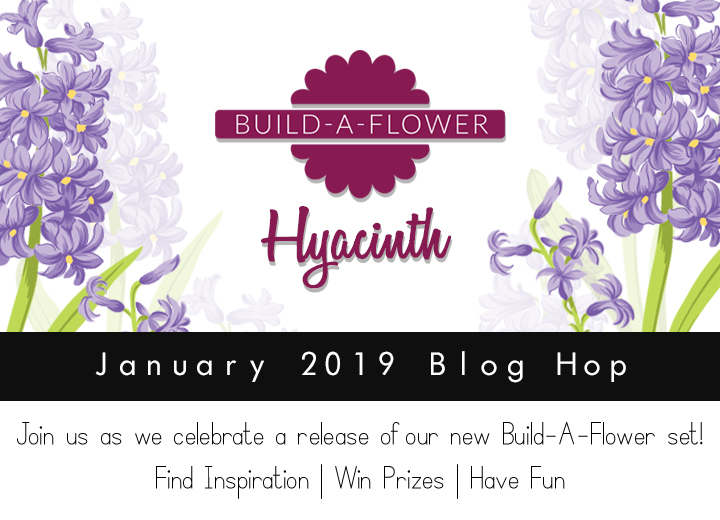 One lucky winner will be announced on 1/5/2019 on this blog. I started working on my card by stamping all the layers of the flowers and leaves using Cherry Blossom Mini Cube Set and Tropical Forest Mini Cube Set. Then, I die cut them with the coordinating dies. For the background, I blended Parrot Crisp Dye Ink and Olive Crisp Dye Ink. I applied the darker shade only on the edges of the panel. After my background was done, I added "Keep smiling" sentiment and I assembled all the flowers directly onto the background with a lot of foam tape. I think the card is so stylish! Thank you so much for joining me! Enjoy the hop! Your card is beautiful! I love how you arranged the flowers!! So, so pretty! well done! 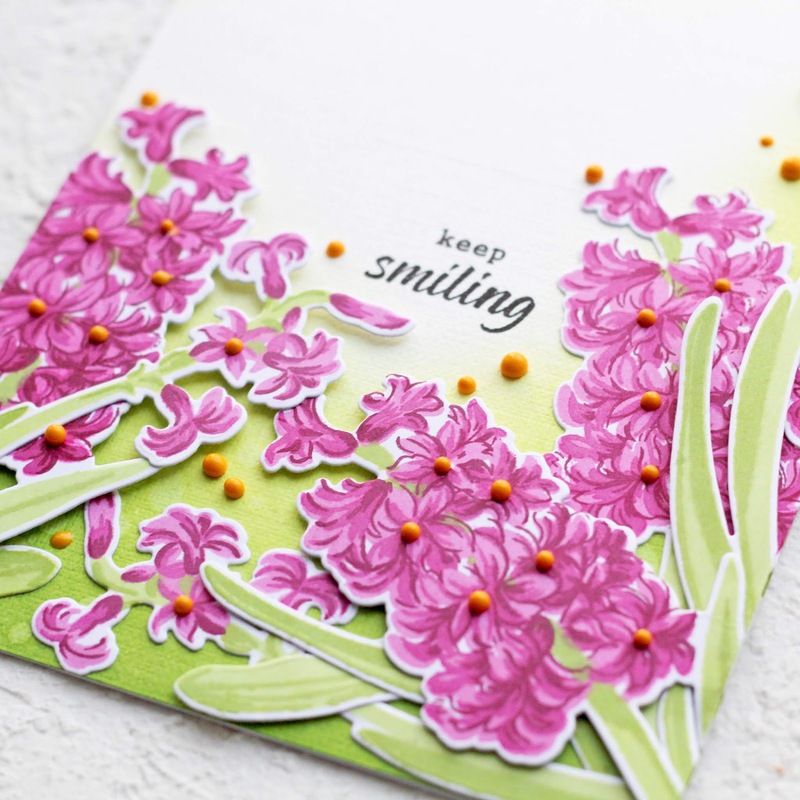 I love the way you sponged the background to make these flowers really stand out. Beautiful job! So beautiful! Love the fresh colour combo. And the yellow flower centers look absolutely gorgeous! Beautiful - I love the bright colours of the flowers and the soft green, and the texture of the background picked up by the inking looks like a soft linen. 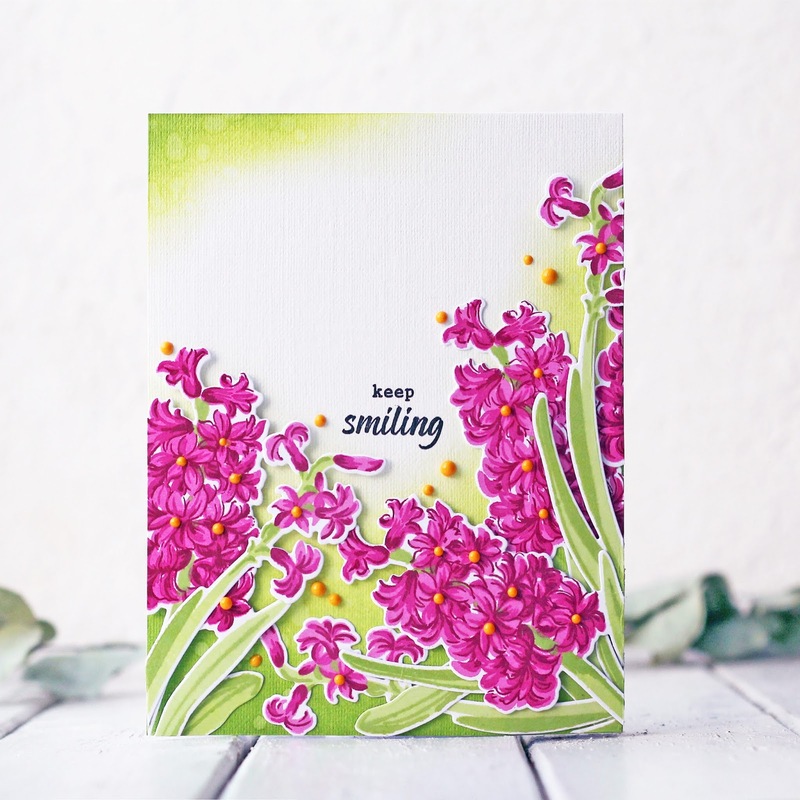 Lovely card - I am really liking this new release! WOW, the cherry blossom color combination is just stunning. Lovely card. Beautiful! I love the pinks! So pretty! This card is a really beautiful one - love the card design you used, too! Such a beautiful card!! I love the design! So beautiful that the hyacinths look like they are real! Beautiful! I want to add them to a vase. Such a fun and happy card! Love your hyacinth field! I so enjoy your card, it's really pretty!!! Those bright colors make me happy! 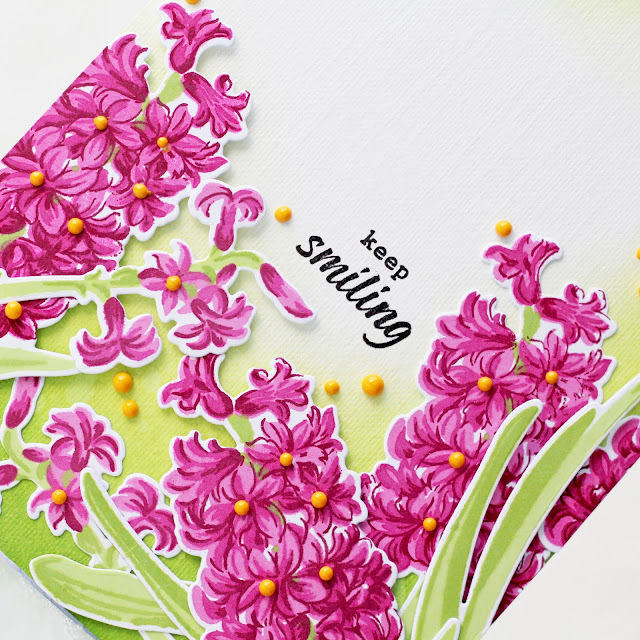 Perfect sentiment for your card! It brought a smile to me! So lovely! Gorgeous! I love it in pink! Well I guess I just love it in any color! Thanks for the great inspiration! Beautiful card and such lovely colors. Love how you arranged the flowers. 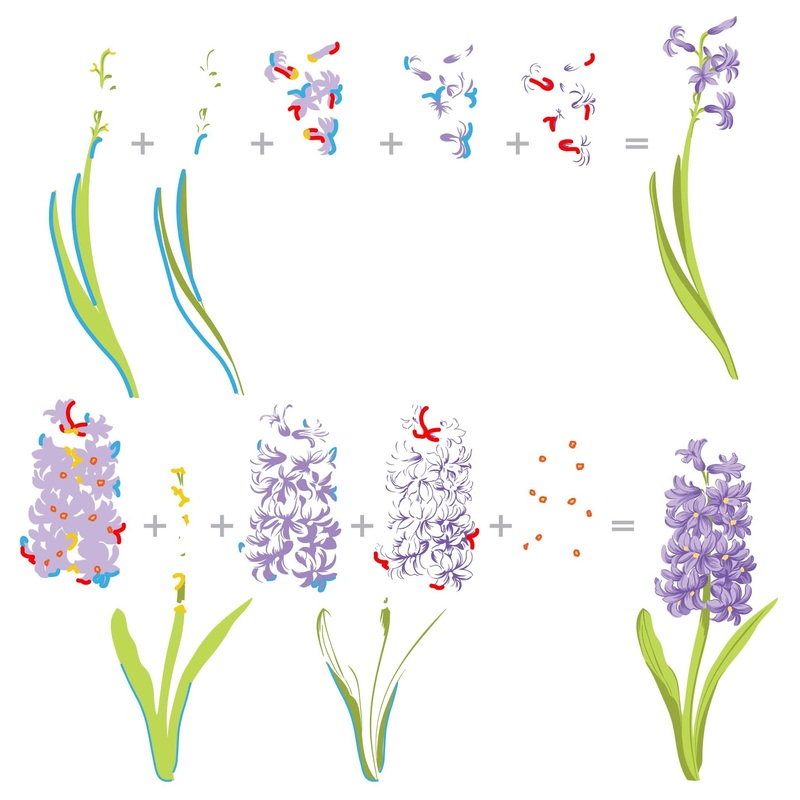 You created the perfect flower with your color combinations....hooray for you! This is a beautiful color for a hyacinth-vivid and pink! very pretty! have a wonderful new year! Stunning colors! I love the orange accents! I love the color of your flowers! The background is very nice also. Gorgeous card! Love the color. This is just stunning! Gorgeous, vibrant colors! Your inking is stunning on this latest release! I can almost smell the hyacinth's deep sweet aroma! Love the colors you used. Love the colors you used and the arrangement is beautiful. I love all of the stunning colors you used!! Your card is amazing!! Wow, this is gorgeous! Love pinks and how you sponged the background! Your card is so gorgeous! I love the colors you used. Beautiful design - love the colors you chose and the way you arranged the flowers. So pretty! Love the pink!!!! Gorgeous! I love the bold pink against the soft green - fantastic! So pretty! Beautiful colours and love the way you clustered the flowers together. Stunning design. 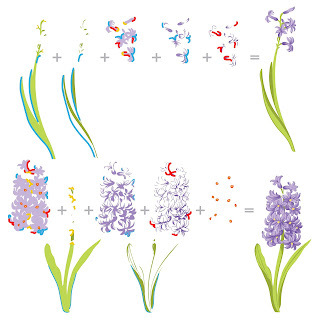 I love the soft green background you chose to highlight your beautiful hyacinth bouquet. Thanks for inspiring me. Another gorgeous set! Love your pretty card Olga! Thanks for the inspiration and happy new year! Wow, you have set such a beautiful scene on the card! Very pretty! I love the bright pink and your background. Wow love the colors you chose. Love the soft green. Great card! I love hyacinths. You make them look so beautiful! Happy New Year. LOVE your hyacinths, the detail and dimension is so life-like, the design SO BEAUTIFUL, it's just like peeking out into the garden ... I can almost smell the perfume from here! Happy New Year Olga! Beautiful card, great colours & nice sentiment. Thank you for sharing such a gorgeous card. The pinks are beautiful. I love how you clustered the flowers. Your card is amazing. I love the unique layout and the colors are amazing. This hyacinth BAF is so beautiful. This is so pretty! Love the way it layers! Thanks for the beautiful inspiration! Your card is stunning! Now I'll have to get this set of pink inks. 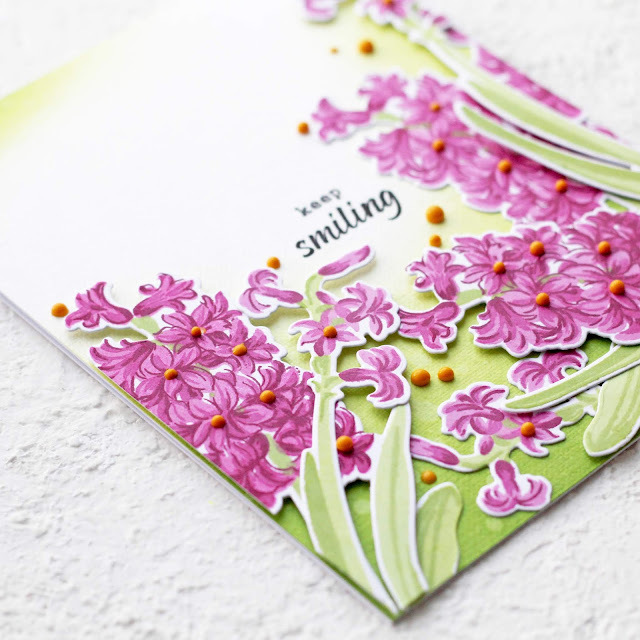 You created a stunning card Olga! I love the shades of pink and green together. Thanks for sharing your talent. luv the combination of pinks! Stunning card Olga. Love your colour choices and your design. TFS. Very beautiful card! I have hyacinths that are this color in my garden. They look just like yours. Great background too. What did you use for the yellow centers? WOW....what a gorgeous card! Thanks for sharing your awesome creativity with us! Beautiful card! Love the color of the flowers. Gorgeous, so gorgeous. Thanks for sharing!!!! Your card is gorgeous!! I can't wait to try this! LOVE!! Beautiful card and like the pink colour for the flowers. This is really stylish! 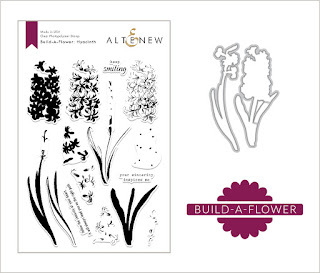 I think you did a great job arranging the flowers, and I love the addition of the Nuvo drops for the centers. Thanks for sharing! I love this new set! Gorgeous card! Love the colors you used! So pretty in the pinks. Love the placement of your flowers too! So creative, cute card! Thanks for sharing! I love the cards. They are amazing! Beautiful card! Love the colors and the layout! Sorry to disturb you, but I was wondering if you have announced your giveaway winner yet, please? Hope you're having a warm and creative day.